The video was taken just minutes after she was born! A video of a newborn baby girl taking a few steps shortly after birth has spread like wildfire online with over 90 million views and counting. In the video the Brazilian infant tries to walk just a few minutes she was born. Nurses were busy washing her but it seemed as though the little one had other plans says Metro. 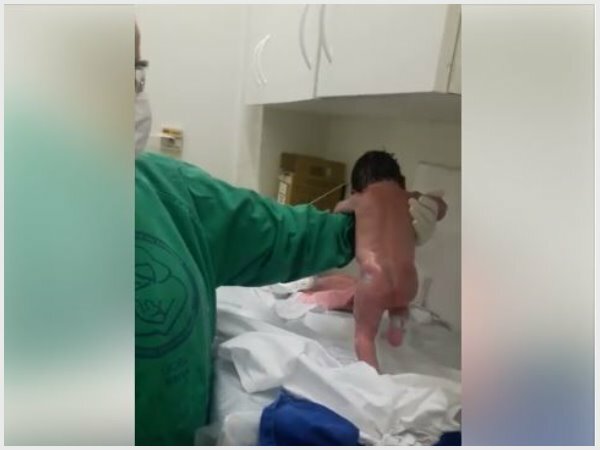 In the clip, allegedly taken at the Santa Cruz hospital in Rio Grande do Sul, the nurse holds the baby as she uses all her energy to take a few steps forward. The baby gets up to take a few more steps forward every time. It is not unusual for newborn babies to try and ‘walk’ so soon after birth. According to Healthy Children, it's a reflex which babies are born with and it usually only disappears after about two months. Reflex or not, it looks like a total miracle!